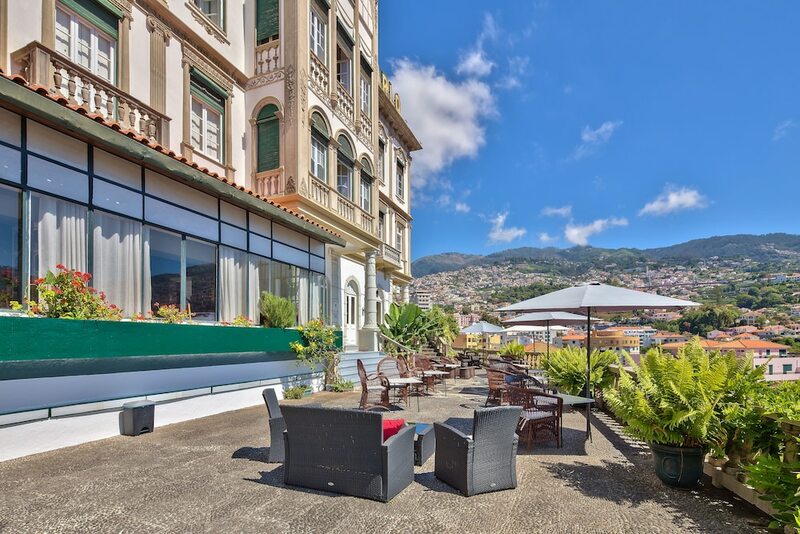 This hotel is located in the town of Funchal and offers guests comfortable and welcoming accommodation near the Botanical Garden. The 30 rooms are equipped with all the elements needed for a quality stay including telephone, a desk, a child's bed, television with cable channels and an ensuite bathroom with bath or shower and bidet. This establishment has its own bar at the pool area, a coffee shop and a restaurant. In addition Hotel Monte Carlo has a sun umbrella area by the pool, garden areas, a library, video games room and table games, a terrace, a kiosk and a TV room. In terms of services, this hotel offers tourist information, reception with a safe, multilingual staff, 24-hour reception, parking, luggage storage, free high-speed internet and a laundry service.